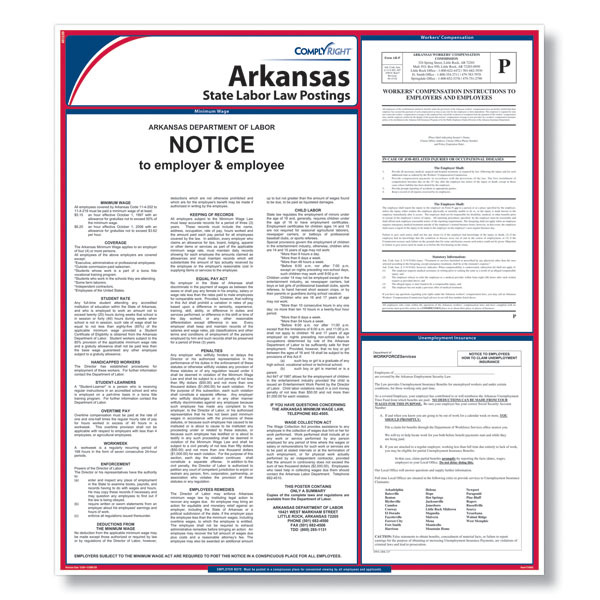 Stay up to date with most recent Arkansas labor law changes with the all-in-one state labor law poster. 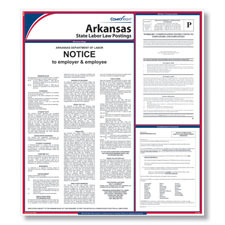 The easy-to-read, laminated poster makes labor law compliance a cinch! The poster was updated to reflect an agency name change. The Arkansas Employment Security Department will now be called the Department of Workforce Services.